GOA, 22nd NOVEMBER 2018:…. The Other Story opened the Israel-Country Focus … Direct flight from Goa to Tel-Aviv to be introduced …. 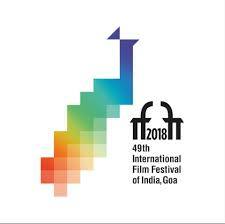 IFFI Lifetime Achievement Award winner Dan Wolman’s upcoming script is partly based in India … The biggest mafia which is ruining this industry is the multiplex mafia,’ says Rahul Rawail, Chairman of the Indian Panorama, Feature section. Wolman described his work as an ‘advocate of the fringes’. His films have dealt with topics like old age homes, prostitutes, homosexuality and other offbeat topics. In his films he’s not trying to follow the trend, but find a way to do things that are courageous, and different and still continue to work.